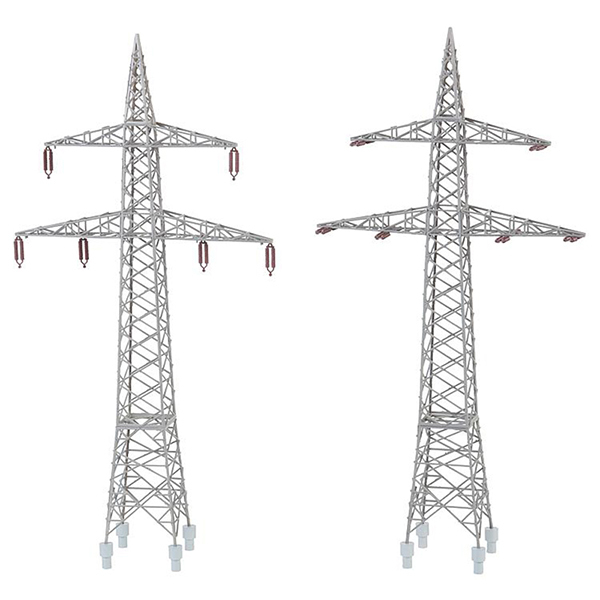 Set of electricity pylons containing two identical steel German Donau pylons featuring a lower wider cross arm and an upper narrow cross arm on which insulators can be fixed upright or hanging. 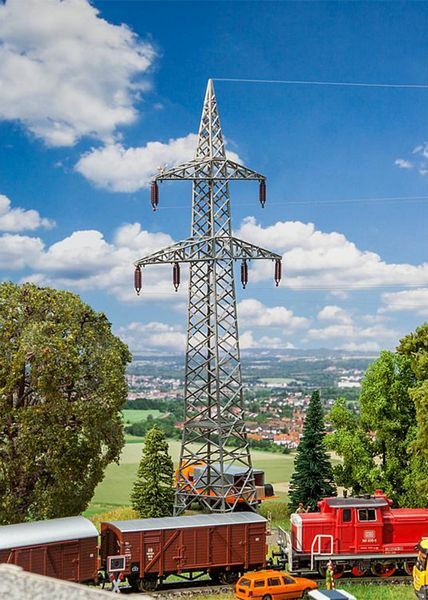 Can be built as one-level pylon variant. 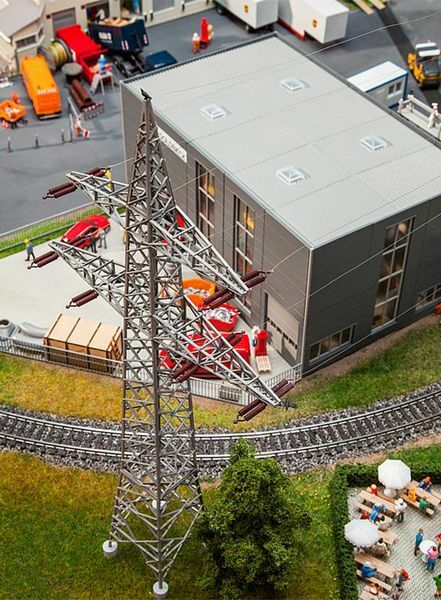 Conductor cable for the transmission of electricity supplied (without function).